At Mouquin’s. 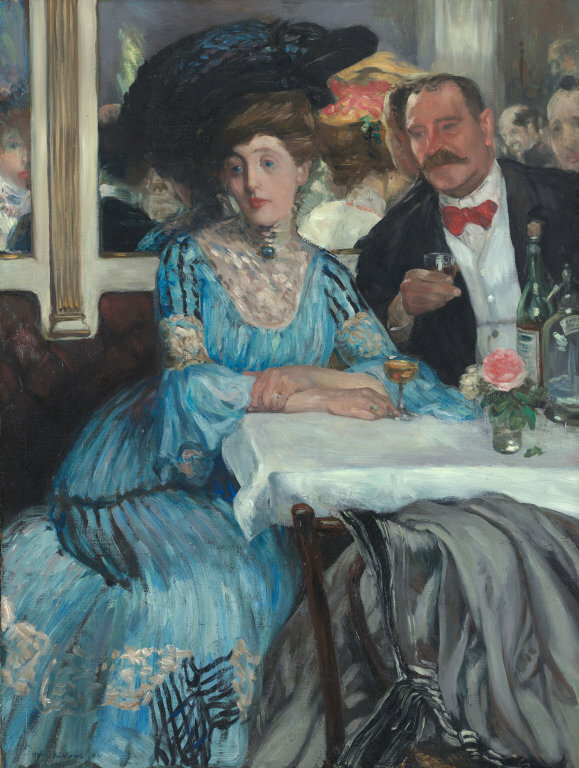 William Glackens. 1905. At The Art Institute of Chicago. Image from http://www.wikipaintings.org. I have lately been interested in presenting lists and statistics related to wine. For this post I decided to compare the ten most expensive Bordeaux wines on three different wine lists. I have limited this post to standard sized bottles and have preserved the original spelling. I manually scanned the lists so if I omitted a bottle please let me know. The 1918 wine list of Mouquin Restaurant and Wine Co. claims they were the “Largest Importers of Bordeaux and Burgundy Wines.”. Whether that claim bears out is immaterial because the list is of good size for the time. Bordeaux makes up a significant portion with selections both bottled on premises and at the chateaux. The 45th edition of the wine list at Berns’ Steakhouse from August 1987 is rich in Bordeaux from both the 20th and 19th centuries. Chateau Gruaud Larose makes the top ten lists for both Mouquin and Berns. I am not too surprised by this for 19th century advertisements and wine lists frequency include this chateau. The presence of multiple vintages of Chateau d’Yquem on both the Mouquin and Daniel wine list is fascinating for it does not appear on the Bern’s list. This may be due to the Bern’s Chateau d’Yquem vintages going back only to 1929 at $671 per bottle. Perhaps if it had extended into the 19th century the wines would be more expensive. The most expensive wine at Daniel is some 3,000 times greater in price than that of Mouquin’s but it should be noted that Mouquin’s top-ten list only reaches back 12 years. While the 1982 Petrus at Daniel is only some 30 years old half of the top-ten list dates prior to 1950. 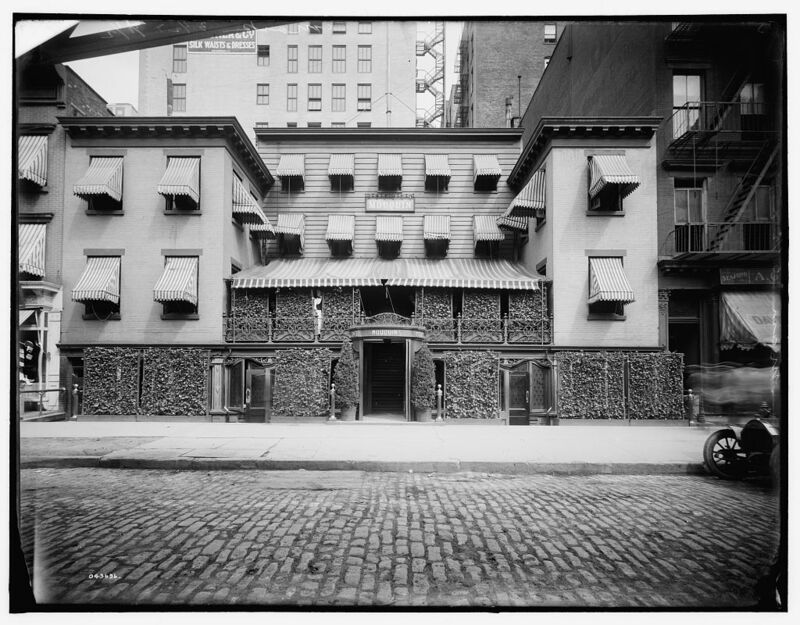 Mouquin Restaurant & Wine Co., Sixth Avenue, New York, N.Y. 1905-1915. Library of Congress Prints and Photographs Division. Wine List. Berns’ Steakhouse. August 1987. Asimov, Eric. The 12 Best Restaurants in New York for Wine. The New York Times. October 8, 2013.